This weekend saw the Festival of Women’s Writing at Haworth welcome a string of celebrated writers, including Sarah Perry, author of recent hit novel ‘The Essex Serpent.’ Of course, you can guess who my favourite women writes are, but today we’ll take a look at some other women writers who were connected with the Brontës – some famous, some less so. Elizabeth Cleghorn Gaskell is perhaps the writer most associated with the Brontës, thanks to her seminal biography of Charlotte Brontë, written at the request of Patrick Brontë, in 1857. It is a brilliant work and cannot be discounted by Brontë lovers; yes, some of the information within it has been shown to be untrue with further discoveries and the passage of time (for example her portrayal of Patrick as a cruel man who wouldn’t let his children eat meat), but it is the only biography from a woman who actually knew many of the protagonists (not, unfortunately, Anne and Emily who were dead by the time she made Charlotte’s acquaintance). It is also brilliantly written, as you should expect from the woman who wrote such classic novels as Cranford and North and South. There are also similarities between Gaskell’s life and that of Anne Bronte. She was the son of a clergyman (although her father William Stevenson gave up the cloth four years before her birth), and lost her mother at an early age. Anne was just 17 months old when Maria Brontë died, whereas Elizabeth was even younger, just 13 months, when her mother Elizabeth died. 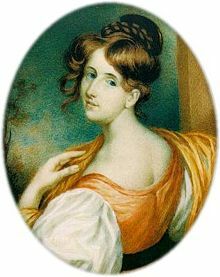 Anne, and her siblings, were then raised largely by their mother’s sister Elizabeth Branwell, whilst Elizabeth Gaskell, on account of her father’s mental breakdown, was sent to live with her mother’s sister Hannah Lumb, nee Holland, in Knutsford. She later, like Charlotte, married a clergyman, William Gaskell, and is buried in Knutsford, where she was raised by her aunt. 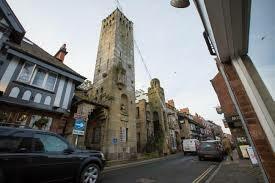 The town now has a fabulous Gaskell Tower bearing the names of all her books, you can see it at the top of this post. 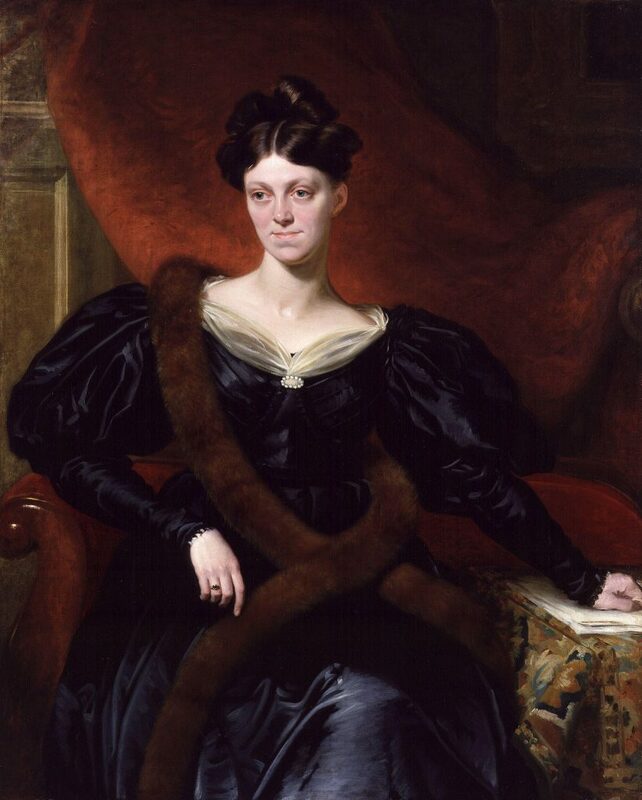 Harriet Martineau was a friend of Elizabeth Gaskell, as the Holland and Martineau families were leaders in the Unitarian movement that was particularly strong in the midlands and northwest. Harriet later became a great friend of Charlotte Brontë, but it was a friendship that some considered scandalous as Harriet was a prominent atheist. She became famous worldwide for her political writings, and for works including ‘Household Education’, attacking the poor standard of women’s education and gender inequality in general. 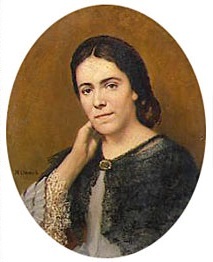 Eliza Acton is often hailed as the inspirations for Anne Brontë’s chosen pen-name of Acton Bell. She was an immensely popular writer in the early nineteenth century, but is little known today. 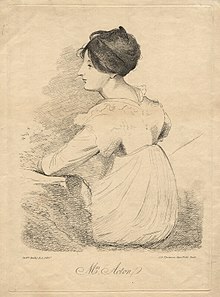 Her writing was in marked contrast to Harriet Martineau’s, as she was most famous for her cookbooks, including ‘Modern Cookery for Private Families’ in 1845. It is to Eliza that we have to lay the blame for the first published recipe for brussels sprouts. She was also a poet whose verse was widely published in the periodicals that the Brontës read from time to time, so this may have appealed to Anne. There is another possible origin of Anne’s pseudonym, however. During their childhood the Brontës often read about, talked about and wrote about castles. 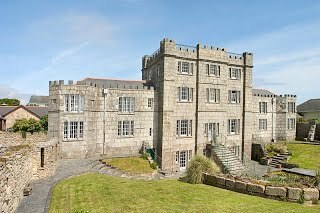 On these occasions, it is easy to imagine Aunt Branwell telling them about a castle she saw every day in her younger years when she entered the garden of her home in Penzance. The name of this Cornish castle that the Branwells had a clear view of? Acton Castle. Despite Charlotte’s obvious fears Julia Kavanagh continued to make a living from writing, and indeed outlived Charlotte by 22 years. Four intriguing women writers, very different, but all worthy of acclaim and all worthy of being remembered and being read. By the way, in last week’s post I mentioned a visit to the archives – it was incredibly fruitful, and what I found was something very special indeed. It will take me some time to analyse it all but look out for a special post in mid October!